Our organization specializes in manufacturing a comprehensive range of Air Drying Unit for its clients. These air dryers can be availed in various capacities ranging from 10 cfm to 1000 cfm. The use of these driers facilitate in lowering the humidity level in generators & reduces stress corrosion on roller retaining rings. 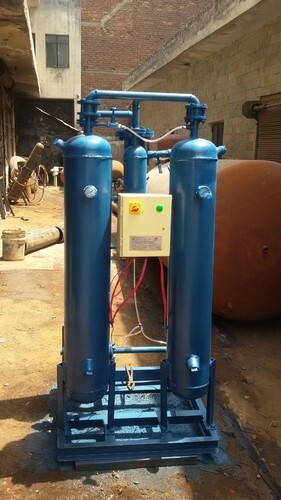 Raju Engineering Works is a well-known Air Compressor, Pressure Switches Compressors And Air Dryers. Our provided products are used commercial places. These industrial products are highly praised in the market owing to their compact design, reliable performance, durability nature, well-built design, easy to fit, longer working life, low maintenance and low prices. Our products are developed under the best leadership of well-informed experts who have prosperous knowledge of this field. These products are manufactured using the sophisticated technology and industry allowed raw material that is sourced from reliable sellers of market. To make these products as per customers demand, we have appointed an expert’s team who has prosperous industry knowledge. In addition, in order to confirm the defect free range, all our products are checked by quality analysts at industry parameters.We offer our products under the brand name L.G, K.G, I.A etc.